Get competitive quotes on outdoor advertising in Tournament Town! Greensboro, often referred to as the Gate City, or The Boro is a great location for outdoor advertising. Three major interstate highways intersect in this city making it an incredible option for billboard advertising. These interstate highways include I-85, I-40, and I-73. 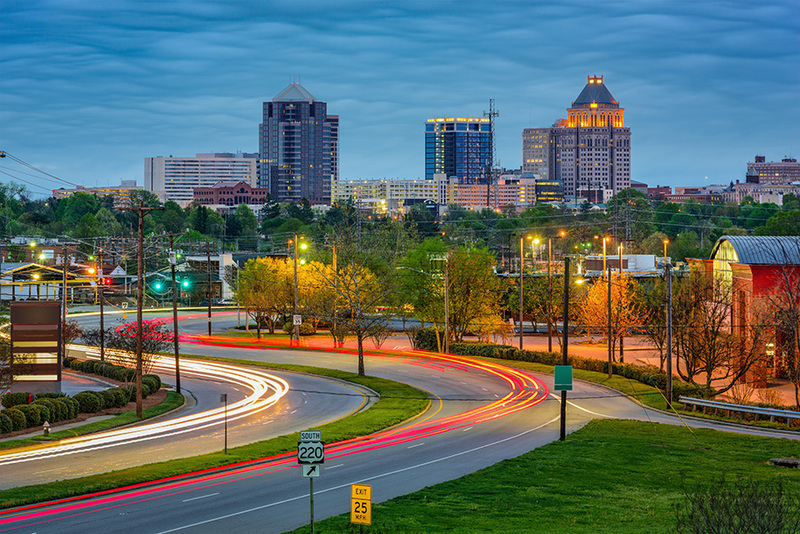 The city attracts many visitors as it is home to the Greensboro Coliseum Complex, Yadkin Bank Park, Four Seasons Town Centre, and the Friendly Center. Additionally, the Piedmont Triad International Airport, the third busiest airport in North Carolina, has plenty of options for advertising or digital advertising. Amtrak trains, taxis, and buses arrive and depart from the J. Douglas Galyon Depot at East Washington Street creating a prime location for bus advertising, transit advertising and taxi advertising. Select an advertisement from below to learn more. Or, get quotes for your next ad campaign in Greensboro through BillboardsIn.